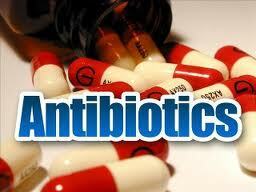 Antibiotics are a type of medication that treats infections caused by parasites or bacteria. These medications are not effective against viral infections such as the cold or flu and cannot be used to treat fungal infections like thrush. In some cases a bacterial infection will develop into a secondary infection that will require more severe treatment. Antibiotics will only be effective in treating bacterial infections. There are over one hundred thousand billion bacteria living in the body. Most of these are harmless or help the body function. Others are dangerous, causing issues like strep throat, sinus infections, ear infections, urinary tract infections or other issues. Different types of antibiotics are available that will help you eliminate these harmful types of bacteria so they cannot cause illness. Antibiotics are capable of destroying the structure of bacterial organisms so they are no longer able to divide or reproduce. Antibiotics like erythromycin or tetracycline will block the bacteria's ability to row or reproduce by preventing nutrients from reaching the bacteria so they cannot multiply. This will give the immune system time to stop the infection. Antibiotics like cephalosporin or penicillin will kill the bacteria on their own, typically by injuring the bacteria's cell wall. When the bacteria are no longer capable of attacking the body they will no longer cause any damage. Many types of antibiotics are classified in a broad spectrum, allowing them to be used to treat a wide variety of infections. Others are very specific and are used to treat certain types of bacteria. Your doctor may perform urine, blood or other tests to help identify what type of bacteria has caused your infection so they can determine the right antibiotic to prescribe. In some cases antibiotics may be prescribed to help prevent illness. For example, those that are prone to issues like urinary tract infections may be given antibiotics that will reduce the likelihood that these infections will develop by killing off the bacteria as soon as they enter the system. People are typically given antibiotics when they have been bitten by an animal to prevent such infections. You will also typically be prescribed an antibiotic cream for surgical incision sites to help prevent this area from becoming infected. Read the instructions before you take any doses if you have been prescribed an antibiotic. You can ask your pharmacist about how the medication works or to clarify any points in the instructions you do not understand. Make sure you know how much medication you are supposed to take with each dose as taking the incorrect amount can either fail to treat the infection properly or increase your risk of side effects. Also make sure you know whether or not it is safe to take these medications on an empty stomach. Different antibiotics will be absorbed by the body at a different rate and the amount of food in your stomach when the medication is taken will impact whether or not this process goes smoothly. Take the amount of doses your doctor has prescribed. If you stop taking your medication when you start to feel better rather than finishing your course of antibiotics you may not have successfully killed off all of the bacteria. This means the remaining bacteria can become resistant to the antibiotics, causing them to re-infect the body. If this happens you will need to treat the new infection with even stronger medications to eliminate your symptoms. Also, make sure you are storing your medication the right way. Some medications require you to keep the pills at room temperature while others will need to be refrigerated. These instructions should be listed on the prescription container. You can also ask your pharmacist if you are not sure about you need to do with your medication. If you would like to learn more about how antibiotics work or how to use them you can check Antibiotics, patient.co.uk.